So, you have a great boss. He (she) makes sure that you are always set up for success by giving you great direction and the tools you need to do your job. You feel respected and appreciated for the work you do. He creates a workplace that is great to be in. Aside from working hard and doing your job well, what do you do for your him? Do you look out for his best interests? Do you do things that will help him advance in his career? Do you have his back when things take a left turn? Do you do your part to make his work environment pleasant? These aren’t questions that many people spend much time thinking about. Typically, at work, we just stay focused on getting our own jobs done. We look after our customers, try to play nicely with our coworkers, and try to meet the boss’s expectations. We sometimes forget that our bosses are people too, and that they need our support as much as we need theirs. 1. If your boss has supported you or gone to bat for you on a project, make a point to thank him. 2. If your boss is having some challenges in the workplace, or with his boss, ask if there is anything you can do to help. 3. Be a rock. Be that person your boss knows he can depend on, regardless of the circumstances. 4. Be his eyes and ears. Your boss can’t see things at work from the same vantage point as you, and may miss things you take for granted. 5. Bring solutions. When something is wrong or needs to be fixed, don’t just tell your boss what the problem is. Be prepared with suggestions/recommendations on how to fix it. 6. Be a positive influence. 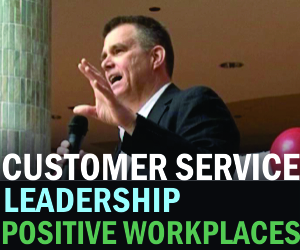 Don’t make your boss shoulder all of the responsibility for having a positive workplace. Be a shining light. Don’t just be a passenger. 7. When your boss has a new initiative, don’t just follow along for the ride. Own it. Champion it. Be an engine that moves it forward. The benefits of supporting your boss (assuming he deserves it), can’t be understated. For him, it is a little less stress in his life, knowing that there’s at least one employee he knows he can count on – and someone who. For you there are several benefits. You will build a relationship that can be an asset to you throughout your career. Your value to him and the company will increase your odds for promotions and more interesting assignments. Most importantly, perhaps, there’s the simple satisfaction of knowing you’re doing what’s right. But what about my coworkers, you might ask. Isn’t there a risk of being labelled a ‘suckup’ or brown-noser’ or some other equally unpleasant term? Possibly. But if it does happen, understand that that this is simply a form of peer pressure used by people who are afraid of people who don’t embrace mediocrity.